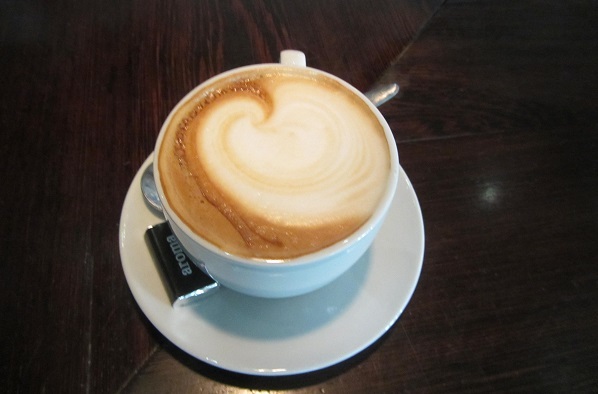 Ellis Shuman Writes: Does Caffeine Make You a Better Writer? Does Caffeine Make You a Better Writer? Like many of my fellow writers, I need a cup of coffee to stimulate the creative juices, especially when I sit down to write at ungodly early morning hours before the sun has risen. Often my mind is full of ideas which germinated while I was sleeping. I am raring to get started, something that is only possible when a mug of java is steaming at the side of my laptop. There is no doubt in my mind that we're talking about an addiction of sorts. My daily coffee intake is only two cups, but I find that I need that first cup as a source of motivation. My addiction is therefore not to caffeine, itself, but to the notion that I must drink coffee in order to have a productive writing session. While it is a given that drinking coffee makes you more alert, does caffeine make you more creative as well? I decided to investigate. Coffee has been referred to as one of the healthiest beverages around. As noted by Popular Science magazine, coffee improves brain function; helps you burn fat; may drastically lower the risk of Type II Diabetes; may lower your risk of Alzheimer's and Parkinson's; may be good for your liver; may lower the risk of dying in connection with Diabetes; and is loaded with nutrients and antioxidants. With all these health benefits, surely drinking coffee is good for writers, right? Shanan, the so-called "Procrastiwriter", says 6-7 daily cups of coffee help her be more risk-taking and confident in her work, and improve both the quality and the quantity of what she's writing. Derwood Talbot, in an article entitled "Why Coffee and Writing Go Hand in Hand," says that "Writing is considered by many to be an arduous and daunting task, but the energizing effects of the caffeine in coffee helps overcome at least the first of many obstacles, the blank page. Writers everywhere know that sometimes the hardest part of writing is just getting started, but with coffee fueling your imagination and cognitive processes, flashing out a few keystrokes can seem like a breeze," he writes. Julia Munroe Martin says that in addition to keeping you awake, preserving your memory, and perking you up mentally, "caffeine can help energize you and keep you focused on boring and repetitive tasks." This is very helpful if you do any kind of business or technical writing. But there are downsides of drinking coffee as well, Martin notes. "Too much coffee can make you jittery." The more coffee breaks you take, the less writing you'll get done. And finally, with all that liquid coming into your system, "you may need to use the bathroom more often." "If you're taking in enough caffeine that it messes with your sleep, the benefit can definitely be negated," writes James Hamblin in an article entitled "Caffeine: For the More Creative Mind," which appeared in The Atlantic. "Like every drug, its effects can't be considered in a vacuum. Like all good things, moderation. You can't get too much moderation," he writes. Maria Konnikova warns that "while caffeine has numerous benefits, it appears that the drug may undermine creativity more than it stimulates it." Writing in The New Yorker, Konnikova says that "creative insights and imaginative solutions often occur when we stop working on a particular problem and let our mind move on to something unrelated." Caffeine, she notes, "prevents our focus from becoming too diffuse; it instead hones our attention in a hyper-vigilant fashion." Before anyone considers coffee as a miracle drug which will guarantee perfect health, an article on the Health Ambitions website lists "7 Negative Effects of Coffee", including irritation of the stomach, heartburn, laxative effects, and the release of stress hormones. Clearly, like any other substance which we consume on a regular basis, coffee should only be drunk in moderation. There are a lot of people who don't drink coffee, and it is easy to assume that there are plenty of writers who are very creative without resorting to caffeine intake at all. Coffee may stimulate creativity for some, while for others it may result in the mind's being too alert for creativity to freely flow. Coffee may have health benefits, but there may also be negative effects if one drinks too much of the beverage. As for me? I started writing this article while drinking a hot cup of coffee, but now my cup is empty. The buzz of caffeine alertness is gone, and I'm considering having a second cup. Or, perhaps to encourage creativity, I should just let my mind wander instead. What about you? Do you find caffeine to be essential to a writer? I tend to really like things that are caffeinated (mocha lattés, iced coffee, Pepsi), so I'd say caffeine tends to help my writing, if only because a lack of caffeine is generally a detriment to my overall situation. When I was doing my senior thesis back in college, I drank enough Vanilla Coke that I achieved a certain hard hyper-focus (with some slightly shaky side effects) that I've yet to repeat. Probably for the better. Hi Jennifer, I will take that as a "yes" ! Thanks for stopping by. I'm a two-cup-a-day person as well! My nightly coffee is part of the ritual that signals to my brain, "It's time to write! Put that other stuff aside." Without it, I'd be comatose on my couch right now. I find it interesting that one of your two cups is at night! Write on! I'm a tea and coffee lover and find that sitting down with a cup is definitely part of my writing routine. Part of that though is the fact that the time it takes me to make it, is time that I am able to use to get into "writing mode." My ideal routine before every writing session (if I had the time) would probably be to have a shower, then make a coffee because I seem to get great ideas for plot fixes in the shower, then the coffee would give me a mental boost to apply them to my WIP! I hope it doesn't take too much time to prepare the coffee, or get into the "writing mode". Write on! I need coffee before just about any activity more stimulating than tying my shoes. Like driving a car, running, writing, cleaning the house, gong to my day job. I'm still on the fence about whether this is an entirely good thing. Great blog. Thanks for the mention! Thanks for linking to the pictorial = very fun! I'm a coffeeholic as well! As mentioned in the article, part of my addiction could be to the notion that I need to drink coffee to create. Thanks for stopping by! I love this--and thanks for the mention! I am sad to say that my coffee is now limited to early in the day (it's begun to keep me awake if I drink it after noon), but nonetheless, those early mornings with coffee in my hand are quite heavenly. Thanks again, Ellis, lots of good info here! Heavenly coffee sessions = it almost sounds as good as the coffee must taste! Greart article! I'm not really a caffeine person, I'm not that fond of coffee, but I do enjoy drinking hot beverages like tea while writing. Tea has caffeine as well, so you're included in the club! Love me some coffee. For me, it's more of a ritual than a need for caffeine. I love the taste and the warmth of it and when I have that I know it's time to write. "Ritual" = yes, we agree on that! My daily routine includes a coffee in the morning, and one in the afternoon. Any more than that and I'm wired for sound. Any less and I find I'm not at my sharpest. I think, like most things in life, moderation is the key. Thanks for a thought provoking post Ellis! Moderation is definitely key. Write on! If there was a definite answer, I probably wouldn't have to write an article like this. Write on! Can one become immune to caffeine? That's an idea for a future article! I stopped consuming caffeine many years ago for medical reasons and found it was the ritual of preparation I missed more than the caff itself. Now I drink maybe 1-2 cups/week, mostly tea, and don't find it has any benefits or detriment unless I'm already tired. Then it just makes me crankily wired, like a two-yr-old past his bedtime. Good thing I prefer herbal brews! "Ritual" = we agree on that. I'm glad you have herbal brews to turn to - whatever works for you! Love the commentary and question "Does Caffeine Make You a Better Writer?" Me, I am not sure if it makes me a better writer as much as it makes me more productive because I am "WIRED!" As long as you're more productive, that's a good thing! I have a total caffeine addiction. I'm not going to admit just how many cups of coffee I have a day, but caffeine drinks like Red Bull have no effect on me. OK, don't tell me how many cups of coffee you have a day. But if you pass Balzac's 50 cups a day, I would like to know about it! I think "everything in moderation" is one of my favorite axioms. I used to drink four cups of coffee a day, but am down to one or two, mainly because it made me too jittery. That didn't help my writing! However, like you, Ellis, I need it to jumpstart my day. Green tea just doesn't cut it for that! Moderation is indeed the key word. I think we all need a way to jumpstart our day. Caffeine does it for me! I set my coffee up the night before, head down in my pajamas around four or five am, have a few sips of coffee, a piece of dark chocolate and open up scrivener. Once I'm started writing I forget it's there. Thanks Jenny, keep on hydrating your brain! No caffeine...health reasons. But love to start my day looking out the window at the black cows dotting the green hills on this edge of suburbia. Figure they have it made. Eat...wander...poop. Meanwhile I write, check my bank balance, and find an interesting blog to read. But I couldn't give up coffee and Dr. Pepper. Never!! It perks me up in the morning, it's my relaxing drink after a hard day, that nice hot cup of coffee... It's my addiction and it's safer than drinking wine or beer after a hard day. I will and have drank coffee all day. Caffeine actually does NOT make me jittery. I don't really feel the caffeine so much, except that I'm less tired in the mornings. But it DOES make me more anxious and panicky if I drink too much of it. I think I might die without my coffee and soda. Seriously. I like it too much to give it up. Even for my health reasons. I DO write better with it! So, if you write better with coffee, isn't that good for you? Keep on writing Rochelle! Aw, thanks! I also have a morning coffee ritual! I swear by it! An interesting piece, Ellis. As I read it I am sitting drinking black coffee from a flask. Yes, I love my coffee. I may be addicted - but, there are far worse things to be addicted to. I certainly need it on a morning. Thanks Dorne. Enjoy your coffee! I do like drinking hot beverages when I write. I usually go for Chinese tea (or sometime, Japanese ones). They could boost energy and short-term memory too, and they have spiritual values. They can make you understand humans' insignificance, the balance of cosmos and [insert Taoist or Zen Buddhist jargon here]. What do you think about tea? Tea also has caffeine (unless it's tea without caffeine). So perhaps the question I've asked is valid in this case as well. I don't drink coffee. I drink Chai tea as my morning starter, but I think it's all about a state of mind. I like to start my day with tea, and writing is a part of that routine. Does caffeine make me a better writer? No. But revision does. Tea is good as well. I agree with you Linda, revision makes one a better writer! Great summary of the coffee/writer relationship. I'm down to one cup of the hard stuff a day, and top up with several cups of decaf 'cos I get jittery easily, and it disturbs my sleep pattern. I'm taking steps to deal with my coffee envy of those 6/7 a day cup drinkers who sleep with no problem! Thanks Teagan! Enjoy your one cup of the hard stuff! I'm one of those odd people who doesn't drink coffee OR tea. I survive on water. In the morning I'll have juice and milk but through the day? Water. Sometimes I'll throw in a non-caffeinated diet soda but it takes me a month to get through a 12 pack of canned soda. How does a lack of caffeine effect my writing? Well, I'm doing the Milwordy challenge which is to write a million words in a year. I'm just over 500K. I'll hit the million sometime in September after starting in January. Furthering that I've got an idea list that keeps expanding. I've written 60 works of fiction including novels, short stories, and novellas. I can sit and focus on writing for hours at a time. I can self-motivate (even for editing) and I usually can finish a novel in a month. I don't believe caffeine makes a better writer. It's all about the state of mind while writing. It's about self-motivation and determination: pure stubbornness. I do have to say that I can't write without music. That's my "addiction" and if I don't have music in the background then I can't get into my groove. It has to be music too, having the TV on doesn't work. Oddly, even if I can't hear my music all that well (conversations around me are too loud or whatnot) I can still get into the groove. Like Linda said: caffeine doesn't make me a better writer. Revision (and constantly writing) does. So, music is your addiction! Well, turn on the music and start writing! Thanks Dairenna! Caffeine is a drug.... cousin to cocaine. If you have to depend on coffee for creativity you are a junkie not a writer. There are a lot of writers who are addicted to coffee, so does that make them all junkies? 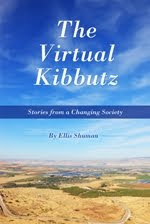 Hello Ellis Shuman, you have written a very interesting article. Being a coffee drinker I thing I should say that coffee is good for health as it may sound that I'm being biased. Both coffee and tea have their own benefits and a person should drink both. Thanks Kopi for stopping by! I didn't drink coffee until I needed to escape the noises of my family to get writing done. The best places to escape to were coffee houses. I found that the caffeine opened my mind just enough to make the words flow faster. Even now that the kids are in school I find myself about twice a week going to a coffee house for the atmosphere and better drinks than I make at home :) I enjoyed your post. Thank you for writing this article, Ellis. As a non coffee drinking writer, I found it very interesting. Why don't I drink the brown nectar of the gods' you glorify. No. I don't have a problem. I don't. I don't. Come on... it was just eight. No more than eight. Won't ever happen again. I love coffee! We are pals. I give it new purpose. My laptop whizzing and my hot cup o' Joe. Mmm, what's not to like? I still sleep normally so I guess it's okay. 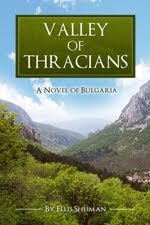 Four months of the year, I rise and write about 1,000 words for my latest Wycaan Master novel, before doing anything else ... except brew and imbibe two cups of coffee. Is there another way? Probably, but I wouldn't consider it. This is life as I love it and it has produced a novel a year for the last five years. Everyone has a different level of moderation. I hope your creativity is unlimited! Just bragging! On my desk sits a HUGE New York Times gray lady coffee mug sent to me by an editor. I literally jumped up and down when I opened the package. Your image of the writer's life--laptop and cup of coffee to kick start the day--is spot on. An added luxury is writing in your pajamas (or your underwear). Ellis--I enjoyed this coffee clatch! In fact, I owned a coffeehouse in the late 1990s. I was totally addicted. Just last year however, I began having worrisome heart palpitations and after many negative tests and no real answer, I came to the conclusion that too much coffee was not good for me. I cut out all caffeine, and sure enough, the palpitations ended. I thought that I would get headaches, but it actually went very smoothly. Today, I drink one caffeinated cup per day, and all is well. Tough lesson to learn though--scary feeling when my heart fluttered. As in most things, moderation is the best! Health trumps caffeine-creativity. I'm glad you found the proper balance! Thank you for such a thought provoking read, just as I'm sitting down with my second cup of coffee. I tried to do a coffee detox a few days ago and failed miserably - by early afternoon the kettle was on! Coffee is very much a part of my writing routine and it takes at least a couple of cups before I'm ready to write in the morning. Unfortunately due to being diagnosed with IBS (irritable bowel syndrome), I have had to swap a few cups for peppermint tea, but I still drink around four cups a day. So yes, I believe for me, coffee is essential to my writing routine. Four cups a day = well, that's still quite a bit! I hope it fuels your creativity! How to get lots of blog comments: mention coffee. I'm not a morning person. Even after I manage to get up, I'm dragging and my mind is fuzzy. To write (or do anything useful), first I have to wake up and be able to think. I try to limit myself to 1 cup in the morning and 1 cup after dinner as a pick-me-up. I've bookmarked that Popular Science article for the next time someone tells me I shouldn't drink coffee. Thanks. Very awesome writing skill, thanks a lot for your wonderful article. I know coffee is very important for thinkable people. I like a coffee to start the day because I like the taste, and I use the time I'm drinking it to get my brain into gear. I generally read something online and write a reply before I'm ready to write my WIP but if I'm on a roll I get on with it and catch up with what the world is doing when I need a break. I'm a daylight writer. If I could have a cup of sunshine through the short daylight days that'd be even better for my output. Absolutely! I am just a blogger not book writer but same goes for me too - I need my morning coffee to sit and write the articles. The coffee not only puts my thoughts in order but somehow also gives me a spark of inspiration.